American Government courses are constantly changing because of world events and the political cycle. As you know, we just went through an election cycle that determined many governor races as well as the party in control of Congress. We incorporate all of these major changes in this new edition. In addition, there are other current issues covered in this new edition including issues of immigration, education, and the tensions of the federalist system. 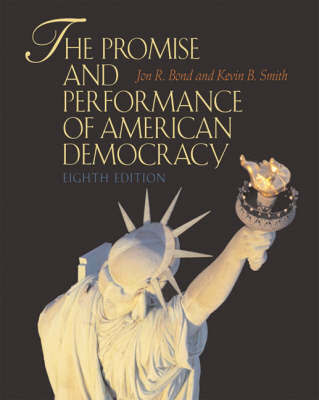 "The Promise and Performance of American Democracy" uses the theme of the title in each chapter to gauge how our government, including its institutions and political influences, are measuring up. Furthermore, the authors use political science theories to outline the promise and performance so you get a sense of how political scientists study the processes, politics, influences, and institutions, of American Government.